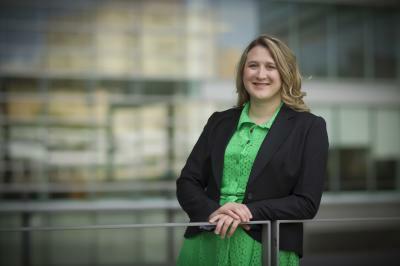 "Tumor location has been the primary method for determining treatment for a given cancer patient," said UNC Lineberger's Katherine Hoadley, PhD, assistant professor in the UNC School of Medicine Department of Genetics, and the paper's first and co-corresponding author. "This study helps us get a better understanding of the relationship across and within different tumor types. If tumors are genetically diverse within an organ, we should rethink the way we treat them." "This new molecular-based classification system should greatly help in the clinic, where it is already explaining some of the similar clinical behavior of what we thought were different tumor types," said UNC Lineberger's Charles Perou, PhD, the May Goldman Shaw Distinguished Professor in Molecular Oncology, a professor of genetics, pathology and laboratory medicine, and another UNC Lineberger co-author on this paper. "These findings also provide many new therapeutic opportunities, which can and will be tested in the next phase of human clinical trials." "TCGA has created a catalogue of alterations that occur in a variety of cancer types," Hoadley said. "Having this catalogue of alterations is really important for us to look in future studies at why these alterations are there, and to predict outcomes for patients." In addition to Hoadley, other authors include Christina Yau, Toshinori Hinoue, Denise M. Wolf, Alexander J. Lazar, Esther Drill, Ronglai Shen, Alison M. Taylor, Andrew D. Cherniack, Vesteinn Thorsson, Rehan Akbani, Reanne Bowlby, Christopher K. Wong, Maciej Wiznerowicz, Francisco Sanchez-Vega, A. Gordon Robertson, Barbara G. Schneider, Michael S. Lawrence, Houtan Noushmehr, Tathiane M. Malta, the Cancer Genome Atlas Network, Joshua M. Stuart, Christopher C. Benz, and Peter W. Laird.